Want to set your Ducati Superbike 848 or 1098 apart from the rest? 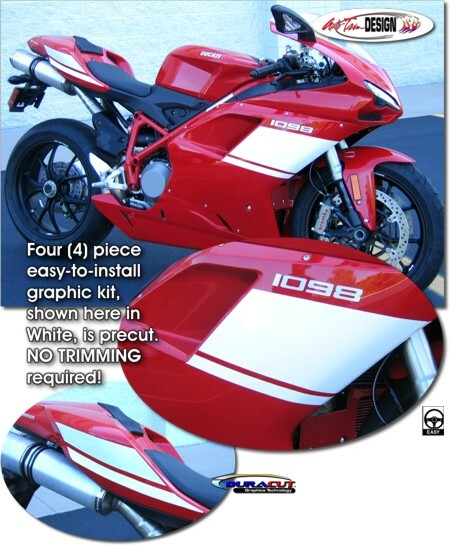 Our easy-to-install four (4) piece graphics kit looks great, is precut (NO TRIMMING required) and will detail your bike in no time. This kit is specifically made for the '07-Current Ducati 848/1098 Superbike and will not fit any other bike.